Will Lent resonate with Americans open to Dry January, juice cleanses and CrossFit? In 1978, writing in the shadow of the Second Vatican Council, the editors of this review asked what relevance Lent had for Americans, Catholic and not. Lenten observances and practices had fallen out of favor among many Catholics, perhaps out of embarrassment over “some of the excessive rigidity and legalism of the past,” the editors speculated. It was a pity, they wrote, because other sectors of American society were increasingly open to asceticism and self-reflection. The Christian Lenten witness was missing out on an ear friendly to the good news. In 2018, Catholics in the United States face another shift in the culture, prompted by a sharp rise in secularism and disaffiliation with organized religion. But if the rise of Dry January (abstaining from alcohol for the month), juice cleanses and religiously-held CrossFit schedules are indications of cultural loyalties, then perhaps prayer, fasting and almsgiving will find rich soil upon which to plant a message of reconciliation. Has Lent become a dusty term, without much meaning for life in the United States in 1978? Sometimes it can seem so. Those recurrent novels of nostalgia written by professional ex-Catholics seem to take relish in caricaturing the season as a time of excessive guilt and quaint penitential practices: ashes on the forehead, fish on Friday, crowded churches for novenas and the men's mission, lots of cheese sandwiches and hard-boiled eggs for lunch. The caricature is unfair, of course, but it may be true that even among some Catholics Lent has become less fashionable than it was in the past. If so, then not only are Catholics the poorer for neglecting a profound theme of Christian experience, but an important message for American society in general will be lost just when it is most needed. With the breakdown of the Catholic ghetto and the subsequent emphasis on pluralism, the distinctive quality of Lent as a season set apart tended to meld into the bland amalgam of the American Christian mainstream. Embar­rassed by some of the excessive rigidity and legalism of the past, many Catholics abandoned the traditional practices of Lent. An overly naive identification of religion with interpersonal relations and a heady infatuation with free­dom often obscured rich spiritual and liturgical traditions that had established Lent as an integral part of the Christian calendar. In the attempts to carve out a new niche for the Catholic insertion into American religious, social and intellectual circles, Lent received short shrift. It appeared to be a part of our cultural baggage that was dispensable. A smoother entrance into the modern dialogue of secular society could be made without it. A good argument can be made for the case that American Catholics shortchanged themselves and their contribution to American society as a result of the virtual abandonment of Lent. Ironically, just as other groups began to find value in the practice of asceticism, Catholics began to neglect it. The healthy habit of examining one's life to pinpoint sin was too often dismissed as borderline neurotic, so psychiatrist Karl Menninger had to remind modern man that it was the denial of sin that was really very unhealthy. Litanies of the saints and other repetitive prayers were shunted aside just before mantras came into vogue. 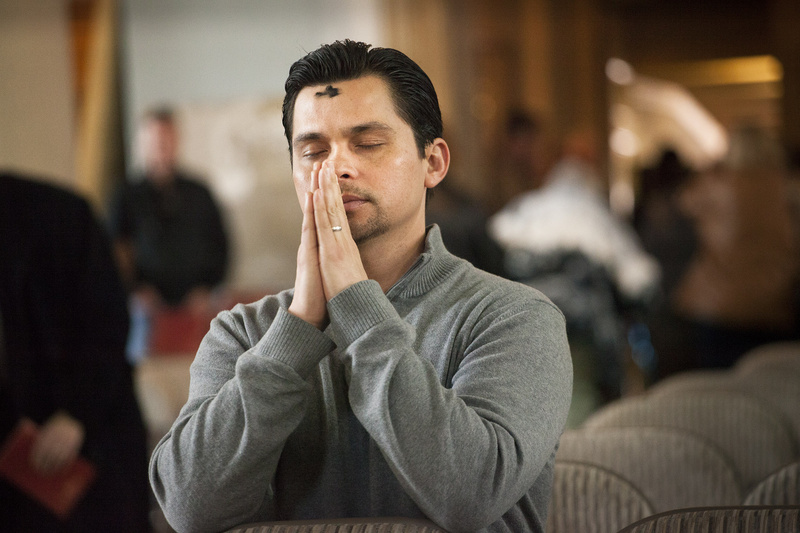 There are now strong indications that the Catholic community is expressing a renewed interest in Lent, and this bodes well both for that community and for American society at large. The ritual symbolism of Lent—a desert experience of prayer, self-denial, self-examination and preparation for the future—finds echoes in the themes of the current religious revival. Lent also serves as a strong countercultural symbol that confronts the value system so pervasive in American life. The very fact that a large Christian community manifests deep and public interest in the season of Lent can serve as a powerful witness against what are becoming the socially acceptable American values: self-gratification, disregard for life, an obsession with the present, misuse of scarce natural resources, greed and contempt for religion. The unquestioned assumptions be­hind this value system need to be challenged, and Lent is a good vehicle for initiating the dialogue. The ritual symbolism of Lent—a desert experience of prayer, self-denial, self-examination and preparation for the future—finds echoes in the themes of the current religious revival. The world food crisis and the energy crisis cry out for attention, but a vast majority of Americans choose to ignore them or fail to recognize them. Popular songs and entertainment debase human dignity and propagandize the young in a demonic fashion. Those at the most fragile points on the life span—the aged and unborn—do not count for much. Lent calls us to step out of the ordinary precisely so that we can step back into it with eyes opened and hearts renewed. The tradition has always emphasized the practical aim of Lenten self-denial: a greater openness and sensitivity to the needs of others. Lent treats the frailty of human nature seriously. We are wounded and in need of healing, but we can be restored to wholeness. A rich stream of religious wisdom springs forth from this tradition, and it continues to offer fresh alternatives to cultural fixations. Lent is, after all, the season of spring, of new life. Although its image may bear some cheerless connotations, its reality is refreshing. As American Catholics rediscover its ritual effectiveness, Lent may once again don its public mask. And American society just might take notice. This article also appeared in print, under the headline "‘Lent May Once Again Don Its Public Mask’," in the February 19, 2018 issue.